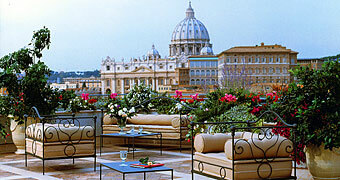 Rome's most vibrant districts all follow the flow of the river traversing the heart of the Italian Capital. An island within the city. When one enters the district of Trastevere from Piazza Sidney Sonnino, one is immediately struck by the very different atmosphere of the place, an atmosphere which catapults the visitor back in time. 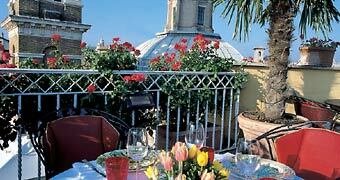 A marvellous tranquillity, a historical context dating back to the 1800's, narrow lanes brimful with the work shops of local craftsmen and traditional eateries; Trastevere represents the true nature of the Rome of the modern day Romans. In the Trastevere district one finds the Church of St Crisogno with its mosaic by Pietro Cavallini, artist of the Roman School, the Church of St Agata with the statue of the Patron of the Trastevere quarter, the Madonna di Noantri; the Church of St Francesco a Ripa which houses the sculpture depicting the Beata Ludovica Albertoni by Gianlorenzo Bernini; the Paleochristian Basilica of St Cecilia with the sculpture of the saint. 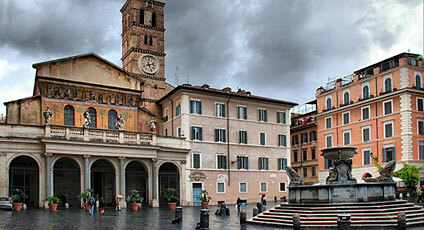 The heart of Trastevere can be found in Piazza St Maria in Trastevere, with its almost Medieval feel. 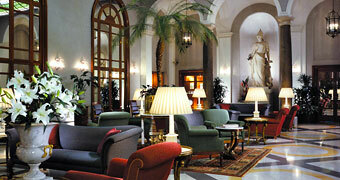 Close by one can visit Palazzo Corsini, the Botanical Gardens, and the Lincei Academy.